Foreign trade portal of Investment and Development Agency of Latvia (LIAA) Exim is export-orientated information on-line database. The goal of this portal is to provide exchange of the information about import and export facilities for Latvian and foreign entrepreneurs in Internet. 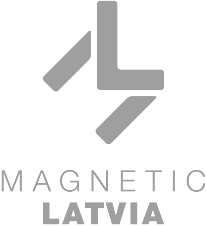 Market info – information about Latvian economic industries and trade. The target auditory of the portal is Latvian and foreign enterpreneurs. Any visitor has possibilities to find out the information about Latvian companies, events in Latvia and abroad, basic facts about Latvia, and to look for business cooperation by searching and submitting business proposals. The enterpreneurs from Latvia and abroad have possibility to attach business proposals, but enterpreneurs from Latvia also to submit company profile. But you should remember that only registered companies can put in information in the portal.